One of my favorite summer desserts, this Fresh Hibiscus Berry Pavlova is light and delicious, plus can be adapted to whatever seasonal fruit is available at the time! Try it this week! After a long winter of apple, pear, and pumpkin desserts, the warm weather brings color, flavor, and sweetness with all the summer berries: strawberries, raspberries, blackberries, blueberries, and more! I’m excited to bring these berries into my recipes this season – the burst of sweetness they provide, balanced with a hint of tartness makes for the perfect recipe, whether you’re making a breakfast smoothie or a luscious dessert. Even better, served atop crisp vanilla meringues like in this Fresh Hibiscus Berry Pavlova. Pavlovas are made by whipping egg whites and sugar at high speed and this time we were testing the Hamilton Beach Stand Mixer. As a devout fan to the competition, I wanted to see how this would compare and I’ve got to be honest, I was impressed. A powerful 300 watt motor, three attachments for mixing versatility, six speeds (and a special fold setting I need to test soon! ), this 3.5 quart bowl stand mixer fits nicely on your kitchen counter and is a lot lighter in weight than the competition. 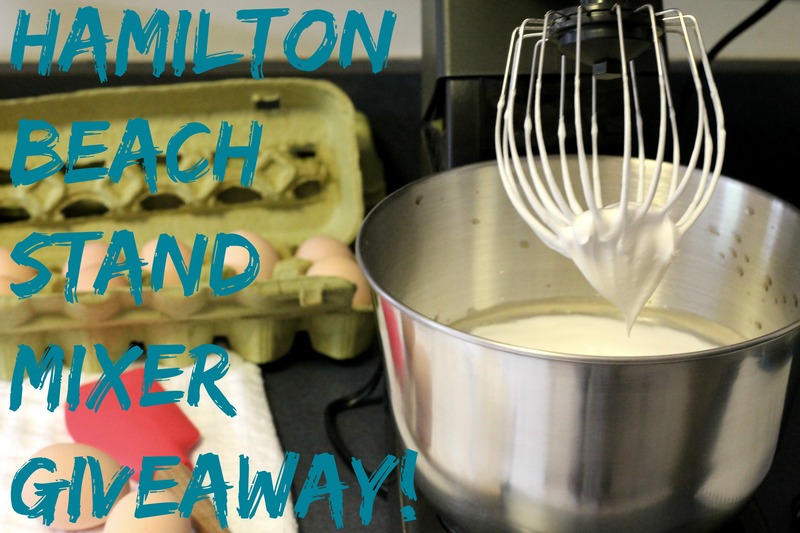 Be sure to scroll down and enter to win your own mixer thanks to the generous folks over at Hamilton Beach. These crisp meringues are paired with fresh berries (use whatever you have on hand), which are swirled with hibiscus syrup. One of my favorite brands, Wild Hibiscus, brings Australian Hibiscus flowers into my New England kitchen. The flowers can be bought either preserved in regular hibiscus syrup or rose syrup, the latter being used in this recipe. This light dessert is a keeper for those hot summer nights when all you want are fresh berries! In a stand mixer with whisk attachment, whisk the whites until frothy and then add the sugar and cornstarch. Keep whisking until medium soft peaks, add the vinegar and vanilla. Whisk until stiff peaks and either dollop onto a sheet tray or pipe nice rounds. Bake for one and a half hours, and then turn the oven off, leaving the meringues to dry overnight. To serve meringues, smash half a cup of raspberries with the hibiscus syrup. Set aside. Place meringues on place, dollop with heavy cream, drizzle on smashed berries/syrup and top with more fresh berries. Serve immediately. Disclaimer: I am a Hamilton Beach Brand Ambassador and was sent this appliance for review, with no obligation to post if I didn’t love it. Thanks for supporting brands that generously help me bring you awesome content and giveaway! Wow…that fresh hibiscus is incredible and yummy! Is it gluten-free? Thanks for sharing! This fresh hibiscus recipe so extravagant:) I’m afraid I will not find the ingredients for this recipe! I am obsessed with desserts! Definitely fresh hibiscus will be yummy! I’m seriously so inspired right now. I need to add cinnamon to recipe and it would be perfect. Thx for sharing! I would make maple nut bars! Thanks for the giveaway…a homemade carrot cake & frosting. I would attempt to make butter cookies as I did when I was a little girl with my mother! I would make a fresh lemon meringue pie using my great aunt’s recipe. I would make some double fudge brownies with it. Red velvet cake for my boyfriend! I absolutely LOVE carrot cake so I would make a delicious carrot cake!! I would make a cake!!! I’d make some organic brownies! I’d make cinnamon oatmeal cookies for Hubz’ lunches. i’ve never made a pavlova , but they sound amazing , i would have to try them! I would make multigrain bread! I would make blueberry, walnut muffins. The first thing I would make is a big batch of cookies for my kids. The first thing i would make if I won this mixer is oatmeal cookies with butterscotch chips! I would make red velvet cake. I would make red velvet cupcakes with cream cheese icing. I would make pate brisee and use the dough to make a apricot and raspberry galette! I would make a homemade carrot cake with cream cheese icing. My mixer broke making too many Christmas cookies so this is perfect and I would make my homemade banana bread my daughter loves! I would make Peanut Butter cookies or Chocolate Chip bread. I would make Red Velvet Cupcakes with Cream Cheese Icing with the Hamilton mixer. i would make cupcakes for my roommates. we love cupcakes around here. I would make a cake! And then this pavlova! I would make a nice moist carrot cake. It must be time for Double Chocolate Zucchini bread! I would make a coconut pound cake. Takes a good mixer to bake a great cake. I’d make Chocolate Cupcakes with peanut butter filling! I would try making the recipe in this post. I’d probably make the boyfriend a chocolate cake. I would make fudge brownies first. I would love to make fresh whipped cream!! I would love to make pizza dough or bread! I adore meringues and you really need a good mixer to make them. 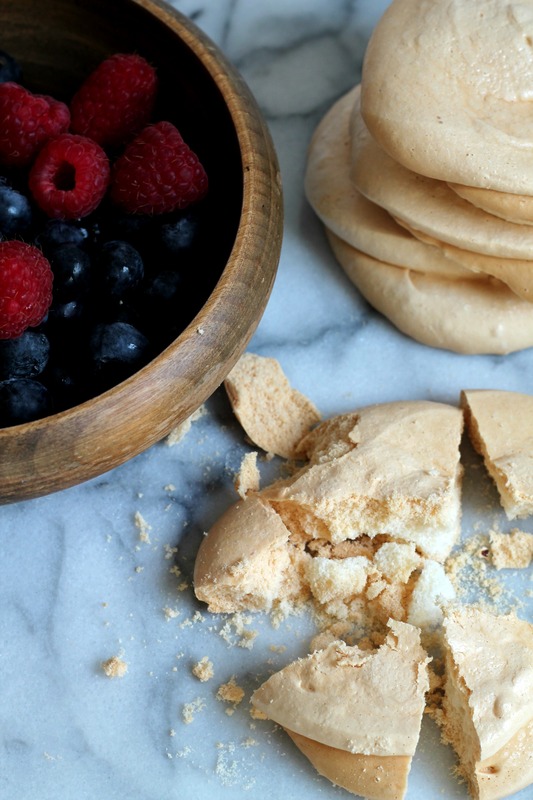 Is pick a mild, dry day to try your Pavlova first, them make my popular strawberry balsamic meringue cookies. I would use it to mix! I would make fresh whipped cream and use it to top berries! I would make angel food cake. I would make a chocolate cake with vanilla frosting. Cupcakes for my sons 4th birthday! I would make my grandson some chocolate chip cookies. I would make a New York cheesecake with praline topping. I would make an angel food cake. Your recipe sounds delicious and the photos are beautiful! I’d make an apple cake. I would make a chocolate and peanut butter icebox cake. I’d like to make a Devils food cake with homemade chocolate icing. whip cream for strawberry shortcake!! 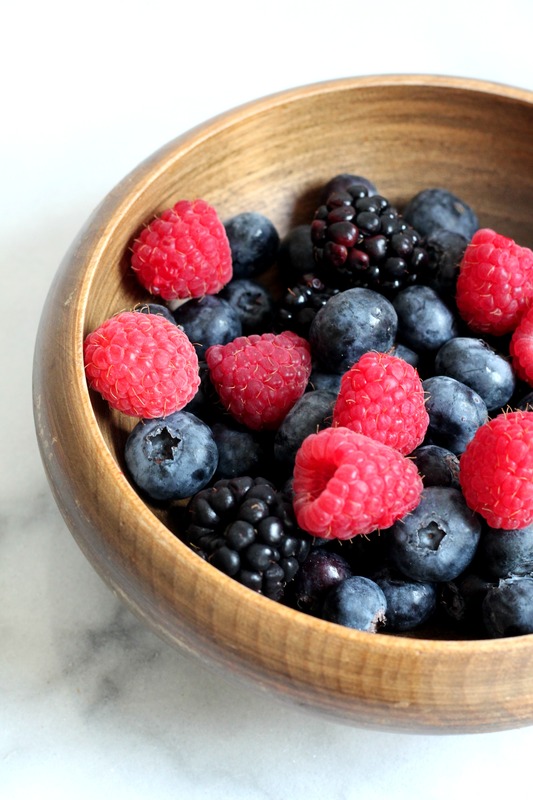 Those berries look amazing on that dessert. I would bake whole wheat bread if I won. I would make chocolate chip cookies and some cakes. On second thought, this recipe… It looks fantastic!!! I would want to make my dad’s chili cheese egg puff or my mom’s lemon bread! I have never owned a stand mixer, but, I’d sure love this one! Every small appliance in my kitchen is Hamilton Beach. What trustworthy appliNces they are, too! Thank you for the opportunity to enter! Bread! Because if loving carbs is wrong, I don’t want to be right. Your pavlova is so pretty. I would make a huge chocolate cake, with boiled frosting. Wait, I can’t find the rules. Is this open to Canadians? Sadly, this isn’t open to Canadians. I’ll be sure to host giveaways for Canadians soon! I’d make a cheesecake and top it with strawberries picked from my garden.